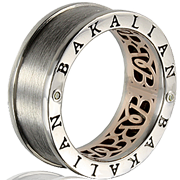 Bakalian Corporate is a stunning addition to the Bakalian brand. This is a service specifically specialising in exclusive orders for the business sector. Bakalian Corporate will enhance your brand with gifts for staff, clients or special in-house memorabilia. We design to any specification.